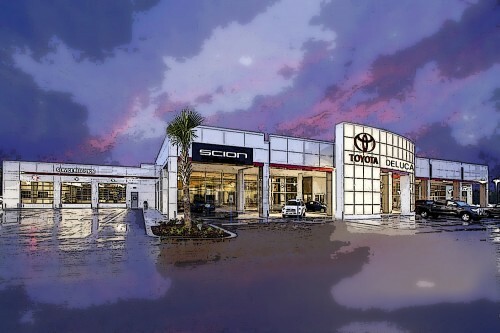 DeLuca Toyota in Ocala began breaking ground last week on its new $14 million showroom and service center on State Road 200. Owner Frank DeLuca said when he started the dealership 33 years ago on a 3.5 acre lot, selling a relatively unknown brand of car made in Japan, he never suspected the dealership would do so well. Construction of the new 65,000-square-foot facility will begin in four months and take a year to complete. It will replace the dealership’s current 22,000-square-foot showroom and service area. It will be built on the 6-acre site that once made up the Ocala Rallye Motors dealership, which DeLuca bought for $3.75 million 2½ years ago. DeLuca said much of the success of his dealership is due to loyal customers who return to buy new cars. 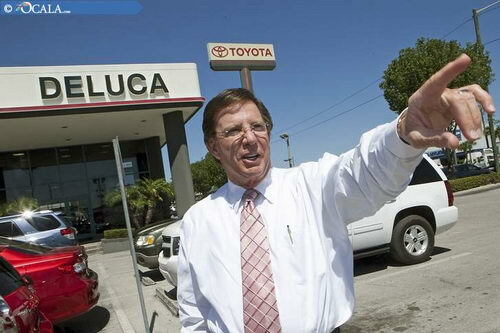 The latest Ocala Rallye Motors land purchase puts the Toyota dealership at nearly 25 acres. The business employs 131 people. The new facility will not only expand the showroom and office space, but also increase the number of service bays from the current 19 to 42. The expansion also will create jobs, DeLuca said. All told, the expansion will involve hiring as many as 40 more employees, about half of whom will be mechanics. Construction of the facility will put between 150 to 200 people to work, DeLuca estimated. DeLuca said the new facility also will include entertainment for people in the process of buying a vehicle or getting one serviced. The facility will include a movie theater, salon and massage chairs. Customer service also will include free coffee, cappuccinos and sandwiches. “And I try to meet every customer and personally thank them (for buying a vehicle) … and shake their hand before they walk out of the dealership,” DeLuca said. On the facility’s second floor, DeLuca said, there will be a putting green. The green is for customers to entertain themselves, but DeLuca also welcomed customers negotiating the price of their new vehicles to use the green to settle price disputes with the sales staff. 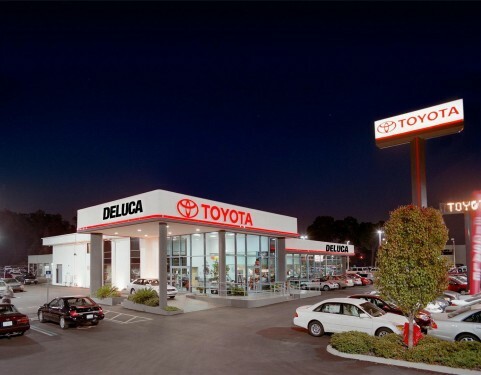 Although Toyota sales and profits slumped after last year’s tsunami in Japan, DeLuca said sales are back to normal, and his dealership recently experienced one of its best three-day sales periods, selling 47 vehicles. The DeLuca sales mirror a resurgence in the U.S. auto industry after a slump in mid-2011. Sales of all brand cars and light trucks had fallen to about 900,000 new vehicles in January 2012, a tumble after sales had reached a December high of about 1.2 million. By February, sales again were improving and were surpassing 1.1 million, according to motorintelligence.com, an industry website that analyzes automotive sales and trends. In March, U.S. vehicle sales reached 1.45 million, rounding out the best quarter for U.S. vehicle sales since 2008. Vehicle sales for the year through March hit 3.45 million, about 400,000 more than for the same time frame in 2011. 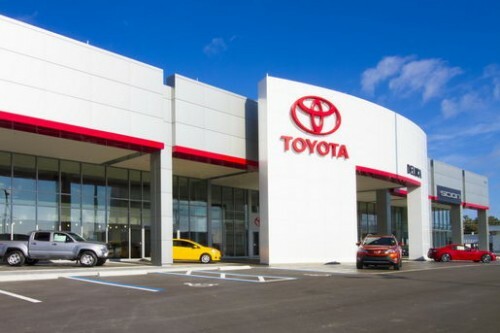 Toyota Motor Sales USA Inc. saw its share of the upswing. 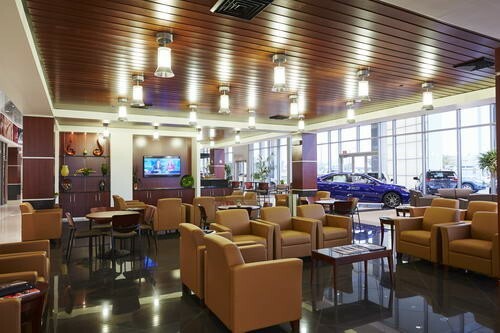 March sales reached 203,282 vehicles, a 15.4 percent increase from March 2011. Between January 2012 and March 2012, Toyota Motor Sales USA sold 487,284 vehicles, a 12.3 percent increase from the same period a year ago. Following the sales, Toyota increased its worldwide sales forecast to the low-to mid-14 million range from 13.6 million. 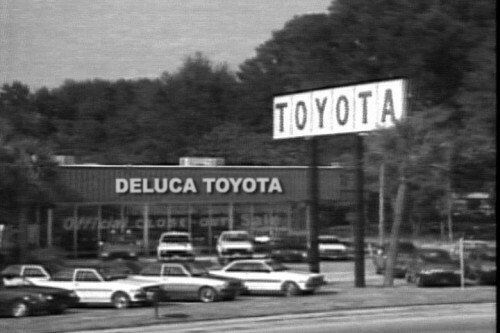 The doors to DeLuca Toyota first opened in 1978. There were no Camrys, no Highlanders or Prius Hybrids. It was the only Toyota dealership in Ocala. Through the sweat and hard work of our employees and the loyalty of wonderful customers like you, we are one of the fastest growing Toyota dealerships (now with Scions, Prius Hybrids and more!) in Florida. Frank’s dedication to the industry, to the community and to the brand have brought DeLuca Toyota very much forward from its beginnings. On 25 acres, there are new vehicles, great pre-owned vehicles and our dedicated team of parts and service specialists. Today there are a slew of new Prius Hybrids, the new Camry and so much more exciting vehicles from both Toyota and Scion poised to take the industry by storm, DeLuca Toyota is fully dedicated to meet the growing demands of our great customers and to our growing community.We hope everyone will continue to support us on our exciting journey and keep us moving forward. For more than 30 years, my dealership, DeLuca Toyota, has provided the Ocala area with sales and service of quality Toyota vehicles. I am proud of this, but recent events and recalls and investigations have been a challenge. I never had any doubt about the quality of our vehicles, and finally, after a thorough investigation, the government has agreed. Published: Wednesday, February 23, 2011 at 5:53 p.m.
Last Modified: Wednesday, February 23, 2011 at 5:53 p.m. This time a year ago, Toyota Motor Corp. was well into its second vehicle recall and the company that made its reputation on safety and quality was watching its sales and image sullied with each new headline. Frank DeLuca, owner of DeLuca Toyota in Ocala, saw sales at his State Road 200 facility drop as much as 15 percent. “Phones at first were ringing off the hook” as Toyota owners learned of necessary repairs to their cars, DeLuca recalled. Then came complaints that Toyota’s cars accelerated on their own due to suspected faulty electrical and computer problems. 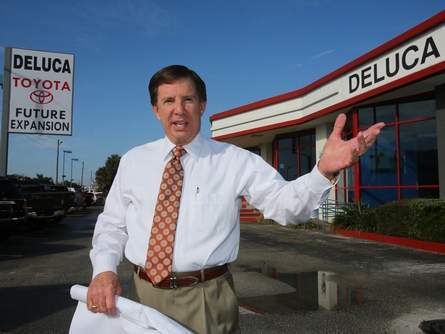 DeLuca, who started his sales franchise in 1978, said his faith in Toyota didn’t wane. “Of the 79,000 (vehicles) we’ve sold … we have not had one single sticking accelerator since we’ve been here,” he said. Now he and all Toyota dealerships are breathing a sigh of relief. Earlier this month, federal transportation investigators and NASA engineers determined that Toyota electronics were not to blame for the acceleration accidents. The determination ruled out a potentially more complex problem for Toyota vehicles than just a mechanical problem easily remedied. The international company took more than 8 million vehicles off the road last year because of ill-fitting floormats that caught onto accelerators, mechanically sticking gas pedals, and suspected faulty electrical systems. In response, Toyota dealerships across the world attached ties to keep floormats away from accelerators and attached mechanical devices to keep gas pedals from sticking. DeLuca said his mechanics worked on as many as 6,000 returned cars during the recall. The vindication from federal investigators was welcome, DeLuca said Wednesday, but the damage was already done. While Toyota owners weren’t put off by the recalls when buying new Toyotas, DeLuca said his dealership lost people who never owned a Toyota and were on the fence about purchasing one of his new cars. Many of they went to other brands, instead. DeLuca said sales have now rebounded to levels 17 percent greater than where they were this time in 2010. He also plans to expand his business: This past summer he bought 15 additional acres next to his dealership; 5 of the acres front SR 200. The land cost DeLuca about $4.5 million. He plans to demolish his existing showroom and office space and build a larger facility on the same location later this year. 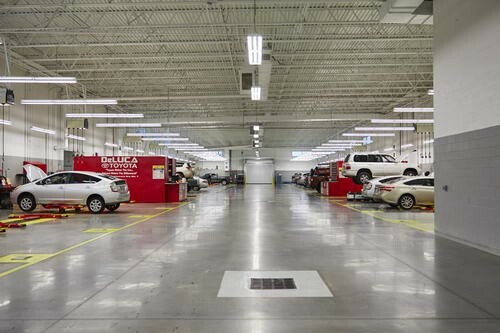 The new facility will include as many as 38 service bays for repairs, up from the current 19. Despite the recovery, the recalls and the publicity they received are still a sore issue for DeLuca. He blames the media for blowing the problems out of proportion and the federal government for taking sides against Toyota after bailing out General Motors. He said Congress kept the Toyota acceleration problems in the news in order to help General Motors and other U.S. car manufacturers. Eventually, federal investigators fined Toyota a record $48.8 million for not reporting and acting on its accelerator problems earlier. Following the most recent conclusion by investigators — that there were no electrical or computer problems with cars that caused unwanted acceleration issues — DeLuca wants car buyers to be more cautious about accusations that cars might have serious operational problems. “They should study and look at the philosophy of the company. You don’t go and let one incident determine your faith in that company,” DeLuca said.